Getting ready to get married or know someone who is? 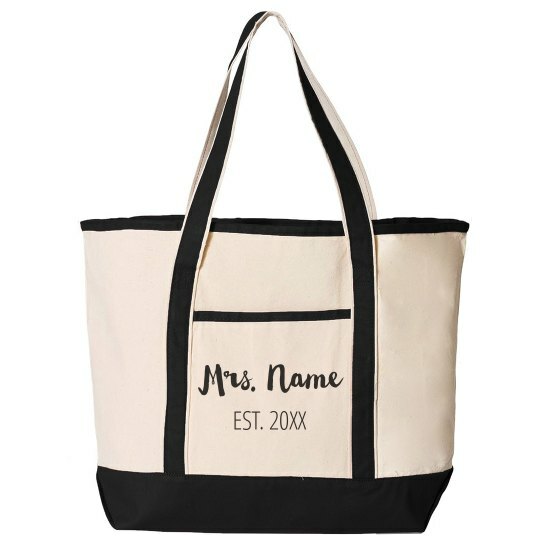 This tote is the perfect addition to any new Mrs. to hold all their things on vacation or during the move to a new house. Add the year of the marriage and this will be a cute keepsake for years to come.